As my 26th b-day inches closer I am looking forward to cocktails by the beach, cocktails by the pool and cocktails at the clubs in art deco infused Miami, FL!!!! Before I prepare to jet-set I need some essentials, and because I heart Miami so much (I have been there once this year already) my gear is coming directly from the "Orange State" by way of marissacollections.com. 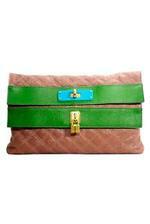 This site has the most lavish shoes, bags, jewels, watches, clothes that Florida could find. 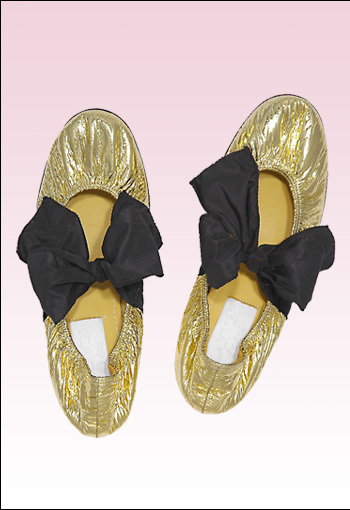 When I first laid eyes on these Lanvin flats I channeled my inner sugar plum fairy and imagined myself going through security at SFO with ease, slipping these babies on an off in a breeze, I totally need them, the gold lamé screams Miami. Speaking of shoes you can't go to South Beach wearing flats, so I'm gonna need some stylish yet wearable heels, and these patent booties by Chloé fit the bill . 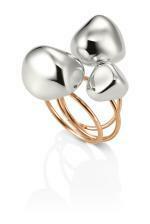 As I browse the virtual racks I have came upon the most interesting statement ring by Breil Milano, with three sterling silver boucles stacked on three 18K rose gold rings, this is one piece of jewelry that will not go unnoticed . Speaking of strong visual impact, I found the most gorgeous anytime clutch by Marc Jacobs a brown quilted leather detailed in Kelly green trim, with fab gold tone hardware like a turn lock closure and padlock to keep that passport and safe and sound. If you liked these gems, you will love that the founder of the site Marisa Harington, also owns a 10,000 square foot boutique in Naples, FL, and you can get these and so much more in store, minus shipping! With services like: personal styling, customized tailoring, at home closet editing and TRIP PACKING (this lady needs to come over asap),in house Valentino boutique and shoe salon--phew, its no wonder this boutique is a favorite of locals and out-of-towners alike. I must googlemap this retail haven as soon as I check in to my hotel!